We collaborated with Art Tonic to give you 10 Tips to get the most out of your studio tour experience. 1. Have an open mind: Visit studios off the beaten path and check out genres of art you’re not normally drawn to. 2. Bring friends or family: Have drinks or dinner afterward to chat about your experience and compare notes. 3. Participate: Attend Sac Open Studios-related events and take part in activities presented by the artists. 4. Introduce yourself: Ask the artists questions or even better, tell them what you love about their work! 5. 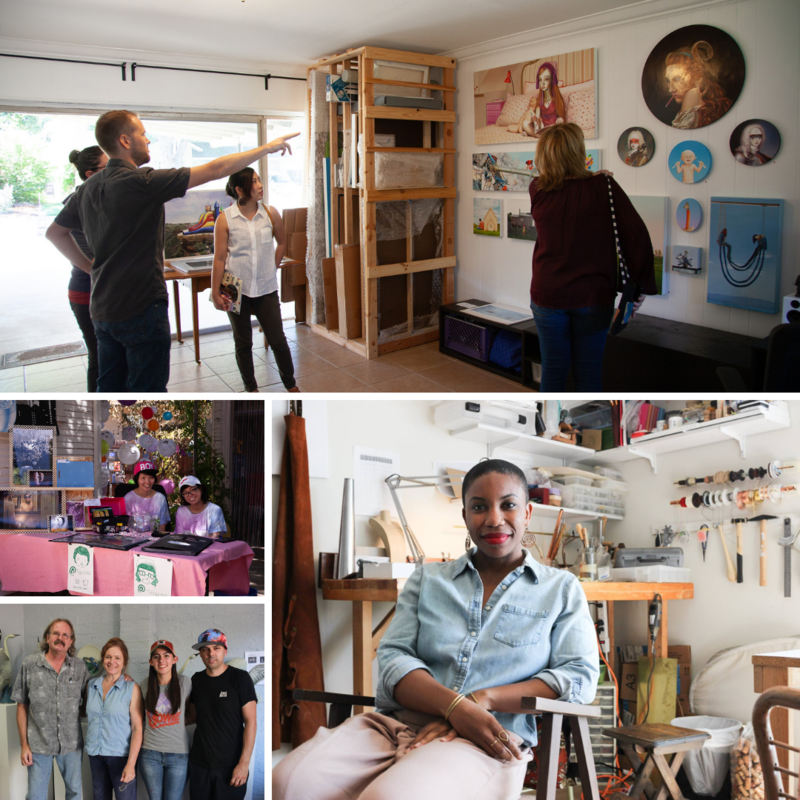 Take photos: Share your tour experiences by tagging @vergeart and using #sacopenstudios. Save images of artworks you love, along with the names of the artists, for future reference. 6. Take your time: If you find yourself drawn to a specific artist’s work, spend at least 10-15 minutes in their studio to deepen your appreciation of their art. 7. Take breaks: Experiencing art is rewarding, but it requires lots of mental and physical energy! Take a snack break to refresh your mind for more art viewing! 8. Take notes: Write down thoughts or questions about the art. Use these for personal reflection, future reference, or to ask the artist later. 9. Look around the studios: In addition to looking at the art, take a look at the objects artists keep in their studios to gain unique insights into the creative process. 10. Support artists: If you can afford it, ask artists how you can acquire a piece of their artwork for your personal collection!